Love the peaches but not the fuzz? 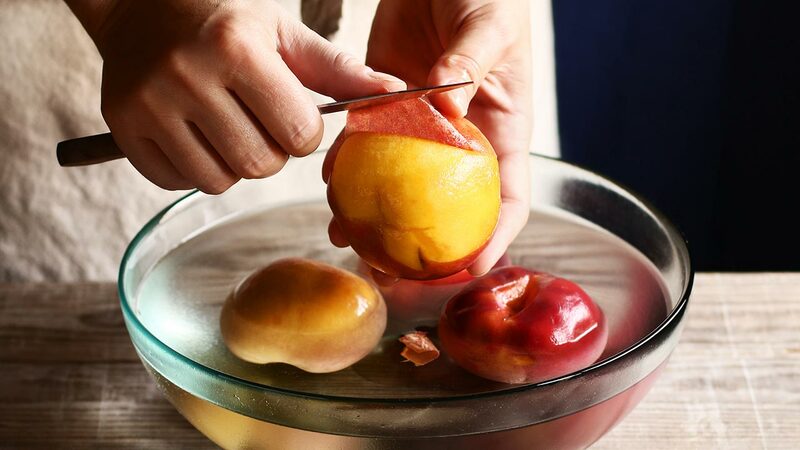 Here’s a fast and easy way to peel a peach. Drop the peach into boiling water for about 30 seconds. Using a large slotted spoon, lift it out and dunk it into a bowl filled with water and ice. As soon as the peach is cool enough to handle, lift it out of the ice bath. Lightly pinch the softened skin, or use a paring knife to puncture the skin near the stem. The skin should easily peel away from the blanched peach.